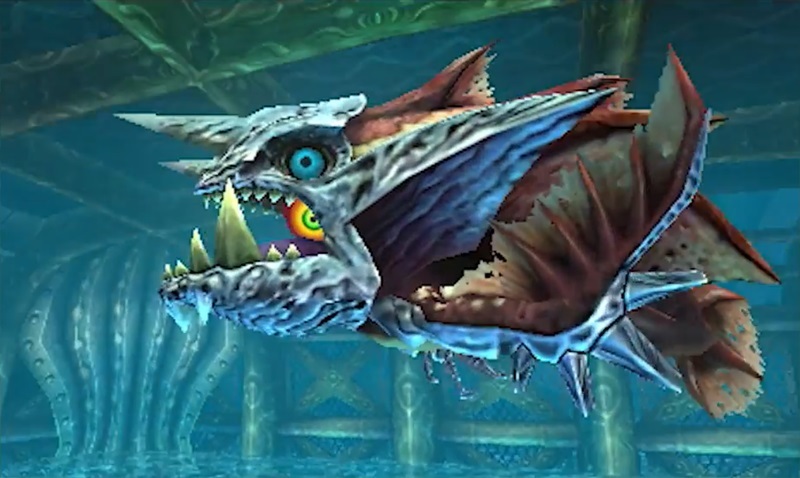 Daily Debate: Which Zelda Boss Is The Most Frustrating? It might not be too often that we find ourselves gritting our teeth, slamming our collective faces against a wall in white-hot rage against a Zelda boss, but when it does happen, it’s a battle to remember. I might not consider my first fumbling forays within Breath of the Wild frustrating, more comical as I was bludgeoned and fried betwixt Lynel blade and painfully accurate Guardian laser, clearly punching above my three-heart weight. What I do remember is a painful, brutally unfair fight against a large fish in the bowels of a dungeon of pipes and currents. Wanna chill on the single spit of land provided to prepare a counter attack? Rammed. Get in the water to fight gill on gill? Vored. The gauntlet of Gyorg was a merciless Majora’s Mask boss battle that landed Link fish food again and again, heartless and fairies exhausted. I was grateful to see and feel a difference in fight on the 3DS remake, as it’s polygonal brother still sends me into hysteric fits. The Imprisoned on the other hand needs no introduction or tale, we can all agree on the pain of the repeated battles and stomping feet that trudged through Skyward Sword. But what do you guys think? Which boss gave you the hardest time? Did any of them? Let us know in the comments below!